blog home Dog Bites Preventing Dog Bite Injuries: Why Do Dogs Bite? What are the Warning Signs? Preventing Dog Bite Injuries: Why Do Dogs Bite? What are the Warning Signs? Many San Diego dog bite injury attorneys have helped clients who feel like the dog bite that injured them occurred “out of the blue.” They often want to know what happened and how they might have prevented the pain, suffering, scarring, and other injuries they now face. As part of an attempt to “herd” people, especially children. Although a dog bite can seem unexpected, dogs rarely bite “out of the blue.” There is usually a reason for the bite that makes sense from the dog’s point of view, even if it’s not immediately obvious to humans. 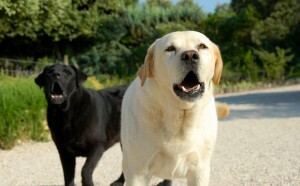 While this doesn’t absolve an owner from responsibility when his or her dog bites, it can help owners and visitors protect themselves by recognizing the signals a dog might give that it may bite. Whines, barks, or growls when someone attempts to touch the dog. Owners must be aware of their dog’s needs and work to prevent dogs from biting others, especially children who cannot always understand or interpret a dog’s behavior.